Dr Walter Amsden was a physician from Bexhill who joined the 1913 excavation season at Harageh. With his medical background he was put in charge of recording the human remains from the site. A photograph album of his time in Egypt is now held in the Petrie Museum of Egyptian Archaeology. 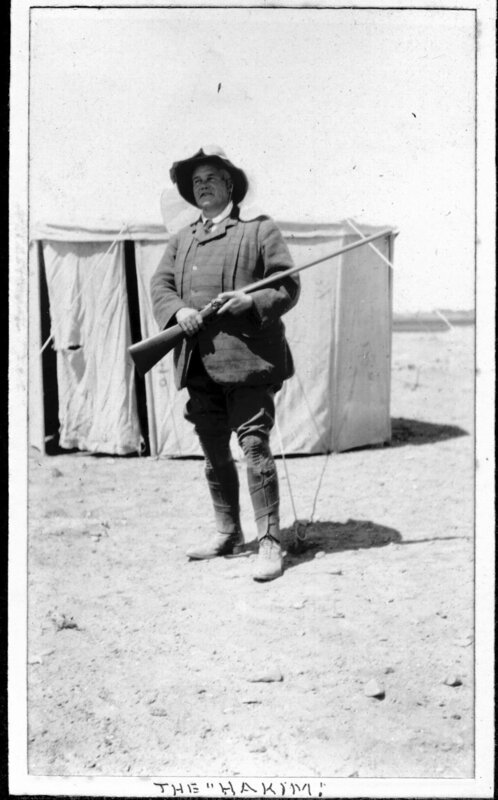 Photograph of Dr Walter Amsden at the 1913-14 excavation camp at Harageh. Petrie Museum of Egyptian Archaeology, UCL, archives.